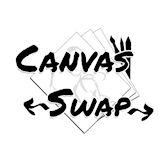 Support Canvas Swap Zine on Ko-fi.com! - Ko-fi ❤️ Where creators get paid by fans, with a 'Buy Me a Coffee' button. ►NOTE: All Ko-fi's are in CANADIAN DOLLARS ►Subscriptions were removed due to lack of interest. If we can drum up enough interest for them in the future, than we will be happy to reinstate them! ►Ko-Fi goals are now based on Patreon goals. Once biannual payments go through, the goal will be updated to show whats left to the next patreon goal. (These goals allow us to pay our artists and staff and make expansions to the project!) ►This is for zine PDF's only! Want more swag? Check out https://www.patreon.com/cszine ►All proceeds go to funding this project! ----------------------------------------- ►EVENT INFORMATION ►NEXT EVENT: April 12/13 2019 *please be sure to read the event post in the gallery for ALL details! ►Events are our way to help fund the project outside of Patreon and subscriptions. We will usually have goals, cool swag to unlock for those who participate and each contribution goes right back into the project to make it bigger and better! ►Goals here will be primarily based on how much is left to the next goal on https://www.patreon.com/cszine - On some occasions we may change goals to show more specific things like if we are fundraising for something specific that is outside the usual scope of the project or event goals. ►Get sweet swag DURING EVENTS, by supporting us at the following levels: ►$3CAD+(~$2USD) DONORS: ●Get a link to the Zinnie Telegram Sticker Pack ●Get your name in the next issue, and on our website supporter section! Please fill out https://docs.google.com/forms/d/e/1FAIpQLSduqtFZsWyaP-Ok1SbE_AOwzCVANijNfVKFTSwLxQSNwbsZUA/viewform (We will not put names in unless this form is filled.) ●Can guess 1 letter for the Artist Reveal/Announcement Challenge (Check gallery!) ►$6CAD+(~$4USD) DONORS: ●Get the $3+ items ●Get the 2nd issue PDF right to your inbox when released, June 1st 2019 ►Guess the full announcement challenge/puzzle for $21CAD/~$15USD (7 ko-fi) ►Ask Zinnie a questions and get a drawn response for $36CAD/~$27USD (12 ko-fi) ►Every $30CAD funded during an event, a new telegram sticker gets revealed and added to the pack! (Max 2 for this event!) There are other details shown in the event posts as they come! Secured Payments. Support goes to Canvas Swap Zine's account. Upgrade Canvas Swap Zine to a yearly Gold Membership with a one-time payment.